... and I am in it! I have bought and loved Bloodaxe poetry books for years. They are beautifully prepared and presented, innovative, diverse and internationally renowned. I absolutely adore my collection, which I keep going back to. Time after time. So when I was asked earlier this year -totally out of the blue- if I agreed to have my poem "Mother Tongue" published in Being Human I thought I HAD to be dreaming. When I eventually realised that I was actually awake, I think I replied with a "YES, pppplease..."
And so here I am: in the same anthology as Yehuda Amichai, Paul Celan, Pablo Neruda, Sharon Olds, Sylvia Plath... to mention a few of my idols. I think I could still be dreaming. Please don't wake me up. But do buy the book, and read poems about living in the modern world, poems that will touch your heart, stir your mind. Poems about being human, about love and loss, fear and longing, hurt and wonder. 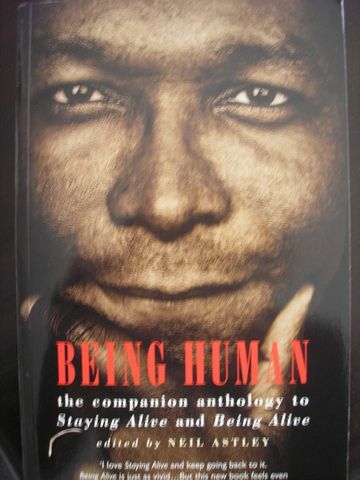 "Being Human" is the third book in the "Staying Alive" poetry trilogy. "Staying Alive" and its sequel "Being Alive" have introduced many thousands of new readers to contemporary poetry. "Being Human" is a companion volume to those two books - a world poetry anthology offering poetry lovers an international selection of 'real poems for unreal times'. 'Being Human, the final volume in Bloodaxe's acclaimed trilogy of anthologies, edited by Neil Astley...the first, Staying Alive (2002), ably demonstrated the power of a well-constructed anthology to introduce readers to vital new poets. I'll be expecting a copy of this one under my tree next Christmas morning' – Sarah Crown, Guardian. Nora Nadjarian is an award-winning Cypriot poet and writer. 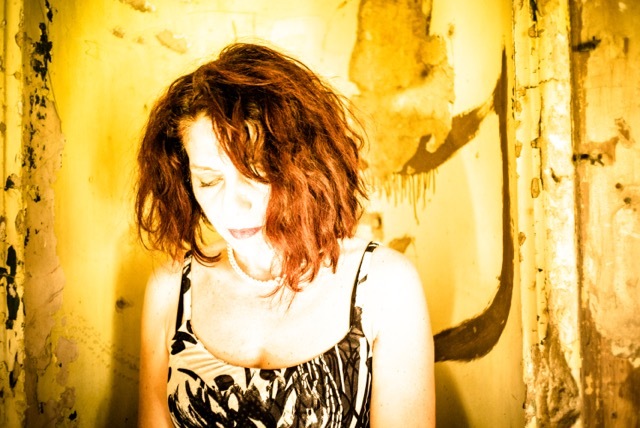 She has represented Cyprus at literary events and festivals in Europe and elsewhere, including Frankfurt Book Fair and Dresdner Bardinale and within the framework of EU2016, in the poetry project ‘In European Poetry I want to live’ (Amsterdam). Her work has been cited or published in the Guardian, the Irish Times and the Telegraph and has also won prizes and commendations in international competitions, including the Commonwealth Short Story Competition, the Féile Filíochta International Poetry Competition, the Binnacle International Ultra-Short Competition and the Seán Ó Faoláin Short Story Prize. Her work deals with the themes of women, refugees, identity, exile, love and loss, as well as the political situation in Cyprus. 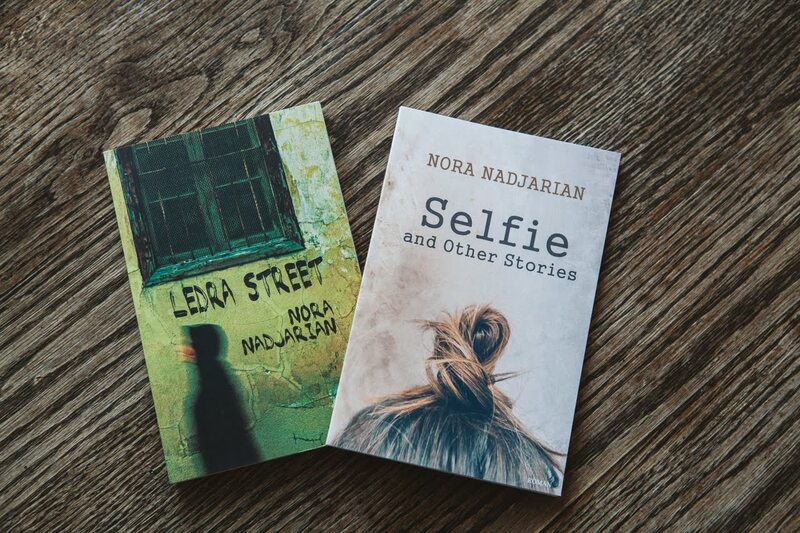 In Cyprus she is best known for her book of short stories “Ledra Street” (2006) but has had poetry and short fiction published internationally. Her work was included in A River of Stories, an anthology of tales and poems from across the Commonwealth, illustrated by Jan Pieńkowski, Best European Fiction 2011 (Dalkey Archive Press), Being Human (Bloodaxe Books, 2011) and Capitals (Bloomsbury, 2017).Her latest publication is the collection of short stories Selfie (Roman Books, 2017) and her short plays “Mermaid” and “Catalina” were recently performed at the Old Red Lion theatre in London. Her special interest lies in the teaching of creative writing. In recent years she has facilitated several creative writing workshops– in English, Greek and German – at schools, universities and prisons in Cyprus and Germany.